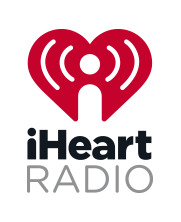 The iHeartRadio logo is the primary means of identifying our company, and should never be recreated or otherwise manipulated. This is essential to maintain a consistent presentation of our identity. 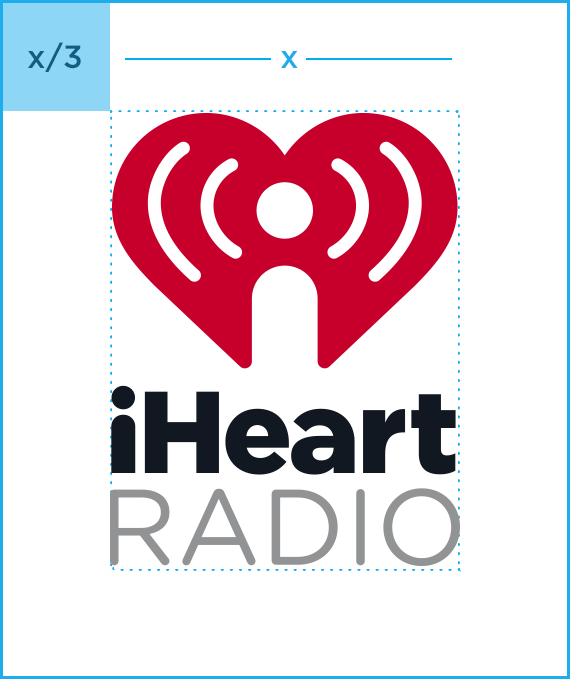 The iHeartRadio logo should always be surrounded by a minimum area of space. The stacked version of the logo should maintain a clearspace margin equal to the width divided by three. The horizontal version should maintain a clearspace equal to the width divided by nine. Featured on iHeartRadio? 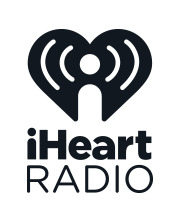 Download the official 'Listen On iHeartRadio' button for web or print needs. The following approaches are either improper or being deprecated by the iHeartRadio brand team. Please notify the brand team if you encounter the logo used in this manner. DON'T use non-standard brand colors behind the logo knockout in product applications. DON'T reverse the mark colors in a knockout. DON'T place on a background with inadequate contrast or reduced legibility. DON'T use two color versions of the logo, even if you are retaining the approved color palette. Use the gray. DON'T use the color logo when placing on a full-color or photo background. Use the one-color white logo. DON'T use the Logo Mark itself should never be used without the correct usage of the Logo Type. DON'T skew the logo or logo background. DON'T change the colors within the logo, even if it is just reordering them. DON'T put a dropshadow behind the logo. DON'T adjust the size relationship between the Logo Mark and Logo Type in either of the lockups. DON'T use the logo mark as a gradient. DON'T use either of the vertical logo lockups in Automotive applications.